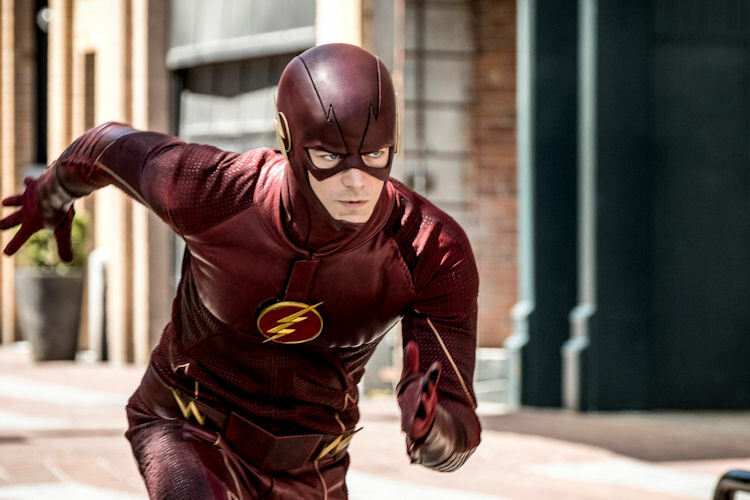 The Flash, ‘Nora’: Congratulations Iris and Barry, It’s a Speedster! What’s the scoop: Nora, aka XS, says she stuck, and can’t go fast enough to go back to her own time. 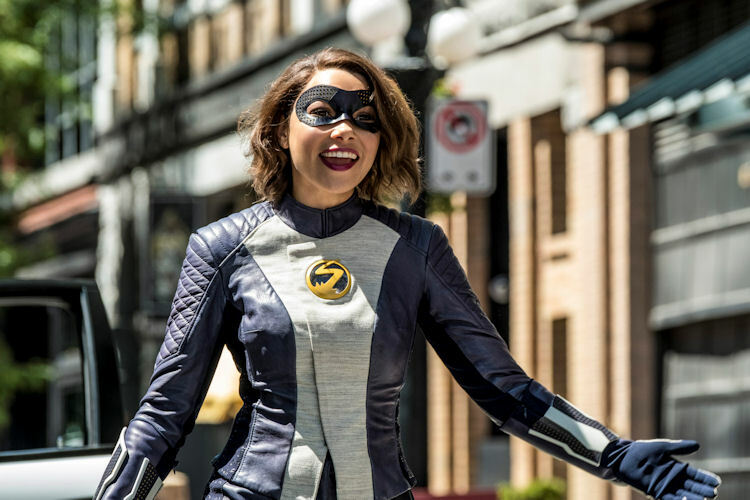 It’s all a ruse made obvious when Nora is especially clingy with Barry while conducting various experiments, and encountering a new meta villain by the name of Gridlock. Remember that newspaper in the time proof room? It’s still important five seasons later! We already knew Barry vanishes in 2024, but what we didn’t know until now, is that Barry never comes back. He disappeared when Nora was a toddler, so she grew up with only the exhibits in the Flash Museum to serve as her father. Meanwhile in B-plot Land: Ralph is still around is apparently a legit detective again. He is about three seasons behind on the whole time travel thing and adorably, he’s excited about the possibility of worlds without hunger, and the last Indiana Jones movie. He is also all about helping out Caitlin unravel secrets about her past. 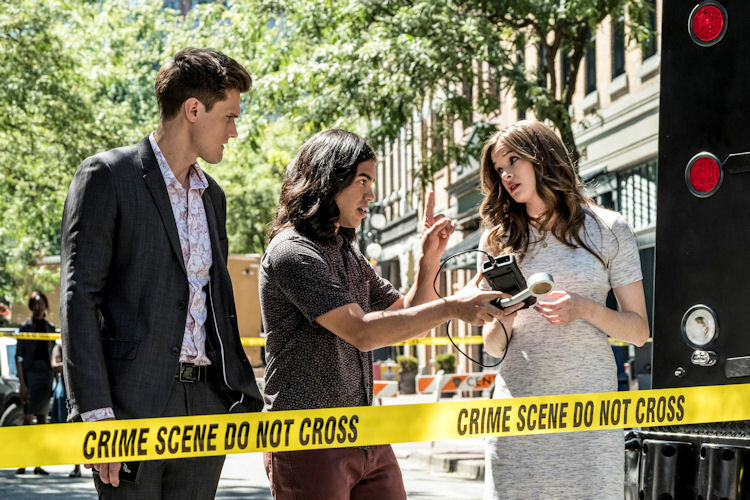 What about the action: There was some father-daughter speedstering throughout the episode, but the big setpiece was Barry, Wally and Nora teaming up to save a crashing plane. Gridlock is an energy absorber, so the bigger the hit, the more powerful he becomes. By purposely crashing the plane, he plans to become invincible. For the heroes, step one is to neutralize Gridlock, which they do with an assist from Cisco. Secondly, they have to team up and phase the plane so it passes through buildings on its way to a lending in the river –- a feat made trickier by the fact that Nora has never been able to phase. But, thanks to the memory of some words of encouragement from Harrison Wells, Barry coaches his daughter to success and saves the day. What’s next: Couldn’t get enough of Barry mentoring Ralph last year? Good. Because it’s gonna be more of the same with Nora, this season. Last impressions: Plenty of groundwork was laid for this season. There’s Nora’s cover mission to keep her father from vanishing in the first place. 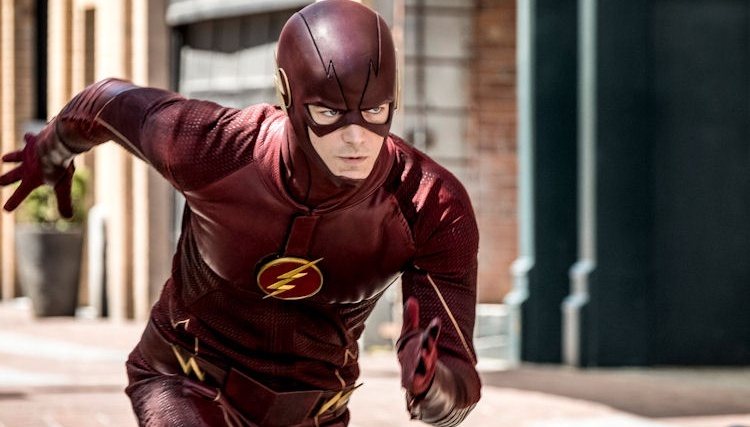 There’s Barry taking the opportunity to make his daughter a better speedster. Then there’s the Caitlin mystery subplot that’s going to give Ralph a reason to hang around. And finally, there’s going to be the new Big Bad who appears to have assembled his costume from the Arrow‘s garage sale (he just wants to kill metas, because of course, he does). It feels like there are enough pieces there to make a good season; we’ll just have to see how it all unfolds over the next eight months.